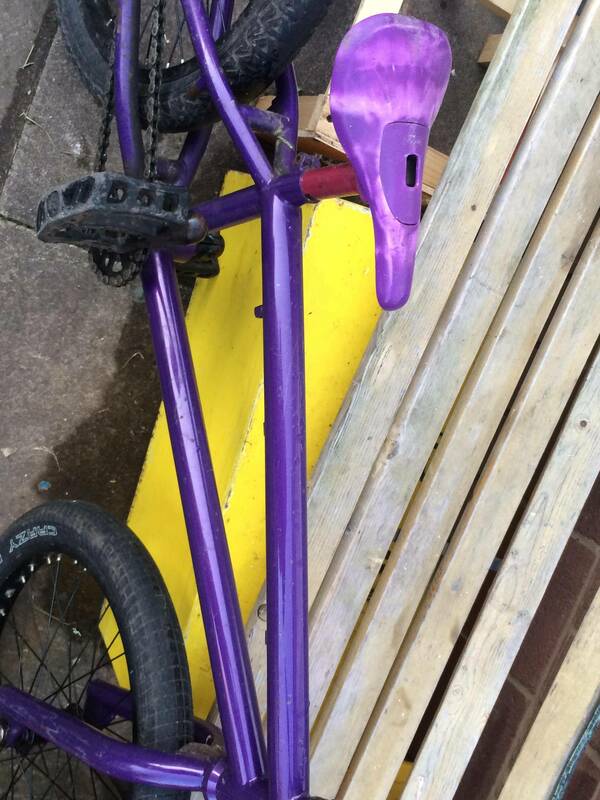 The frame is a lovely purple BMX frame. Judging from your photos it seems in a very good state with no dents or bending noticeable. 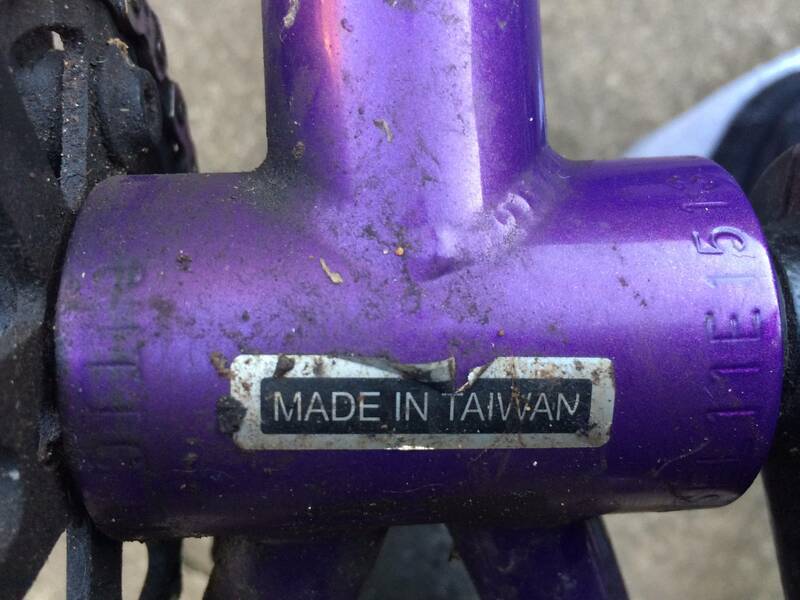 From the looks of it, it accepts fairly standard BMX components. To find out if it is worth anything, ensure the completeness and safety of the bike and go ride it.